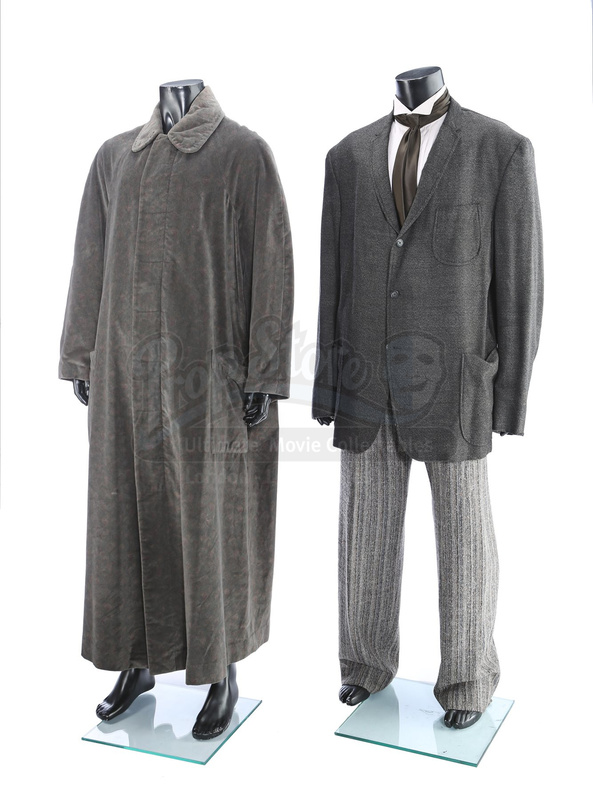 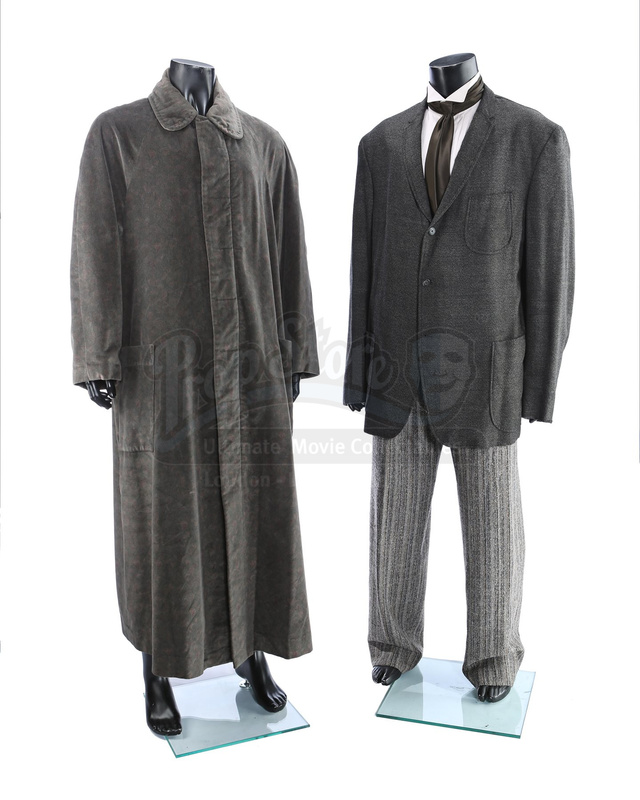 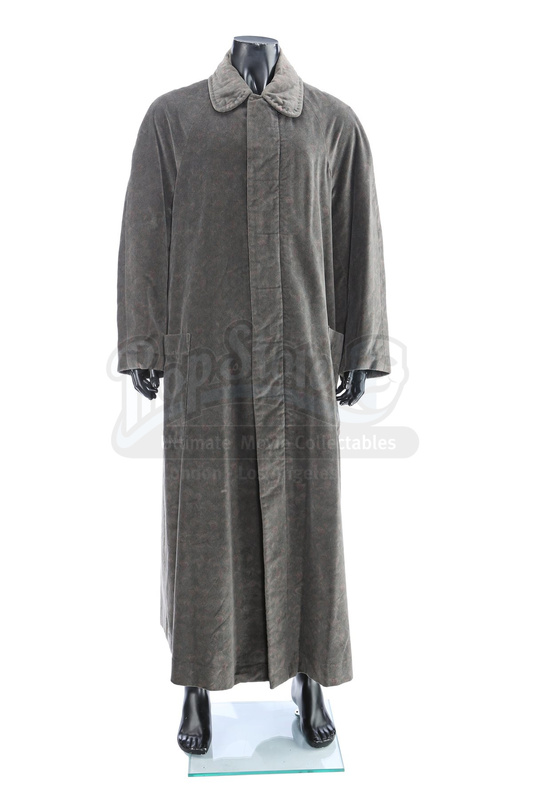 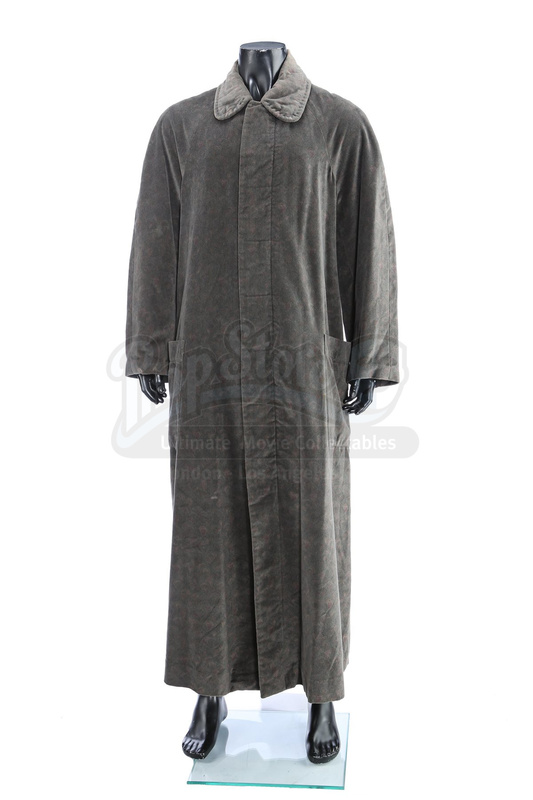 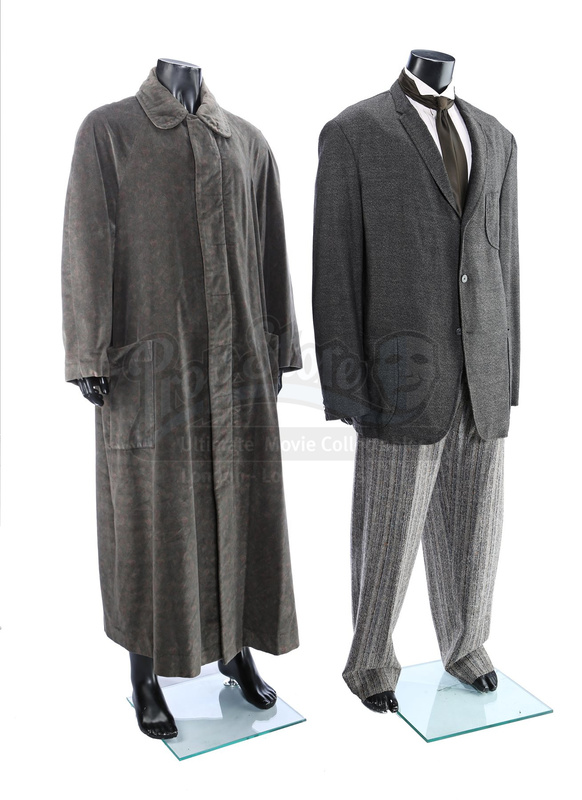 Uncle Fester (Christopher Lloyd) and Lurch (Carel Struycken) signature costumes from Barry Sonnenfeld’s dark comedy The Addams Family. 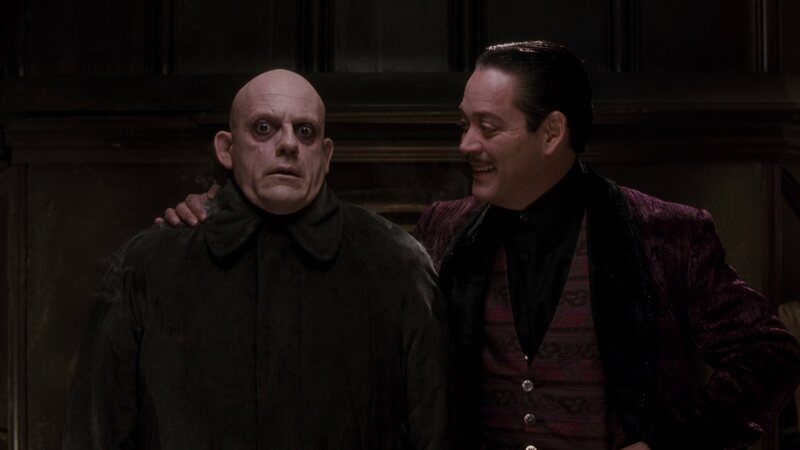 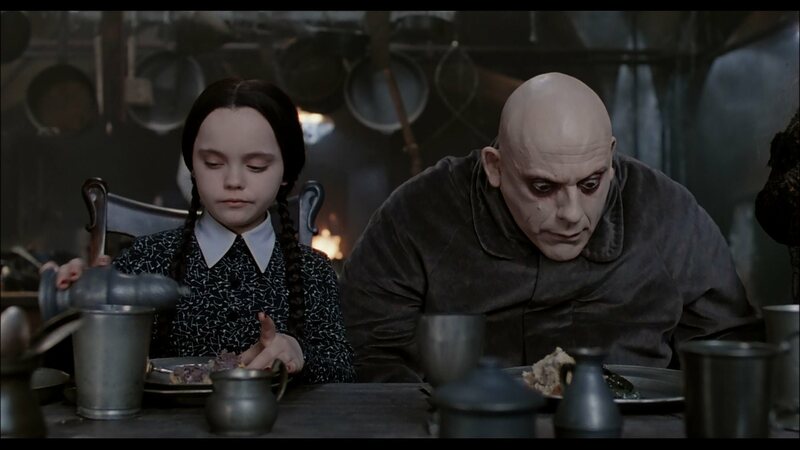 Uncle Fester wore his trademark longcoat once he returned home to the Addams residence, while Lurch wore his manservant uniform throughout the film. 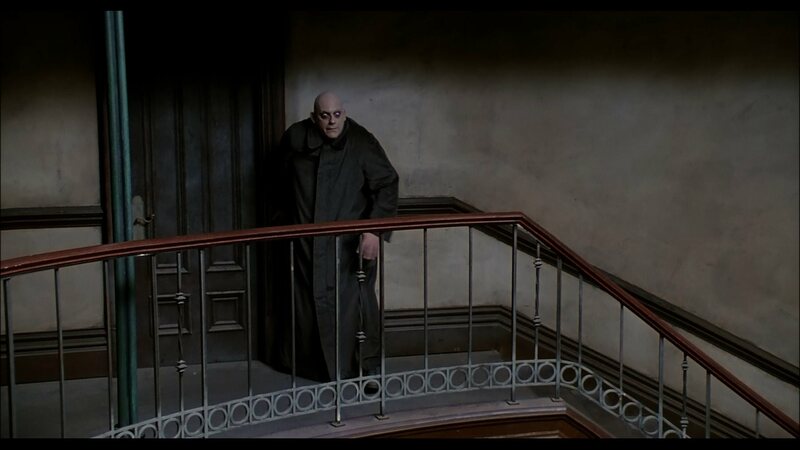 Designed by Ruth Myers, Fester Addams’ bespoke longcoat is made of soft drapery fabric, and features a muted floral pattern throughout. 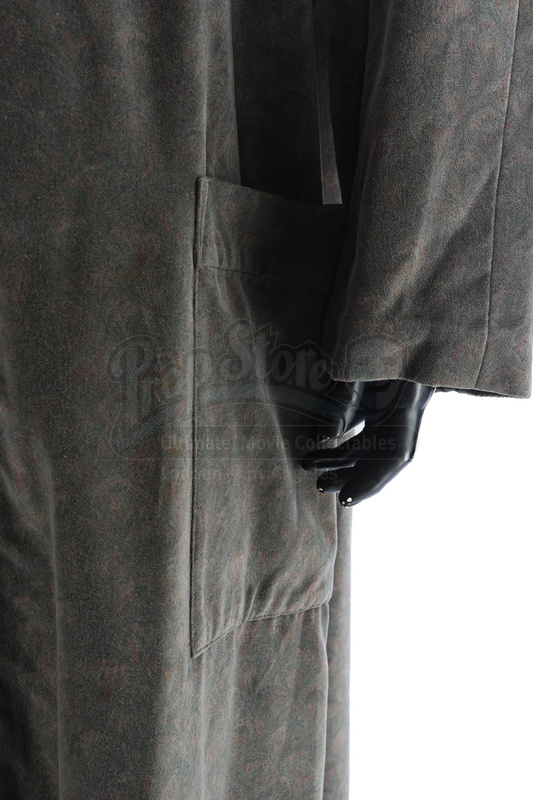 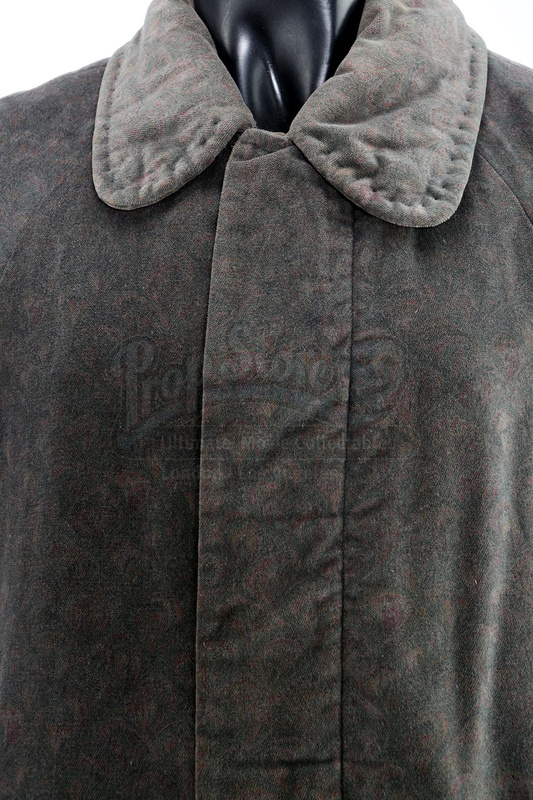 The coat was worn closed and buttons up in front, and includes two deep front pockets. 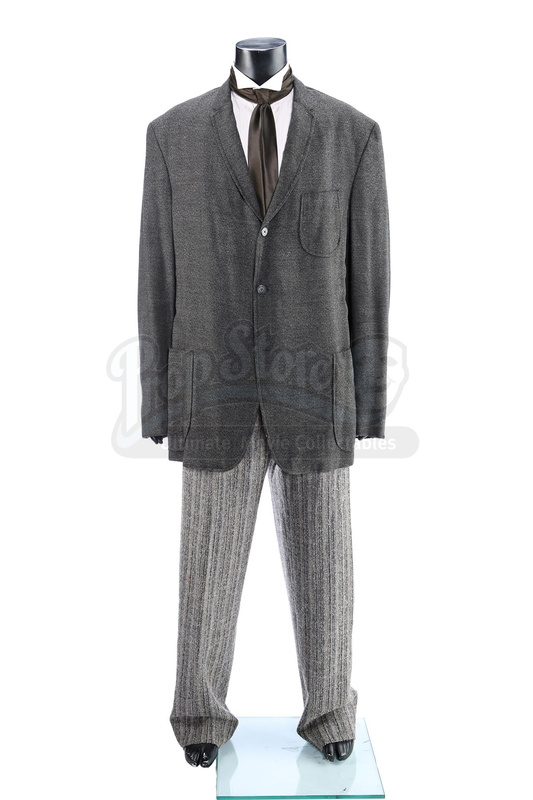 Lurch’s suit comprises a heathered coat, a tuxedo shirt, a silk tie and a pair of woollen trousers. 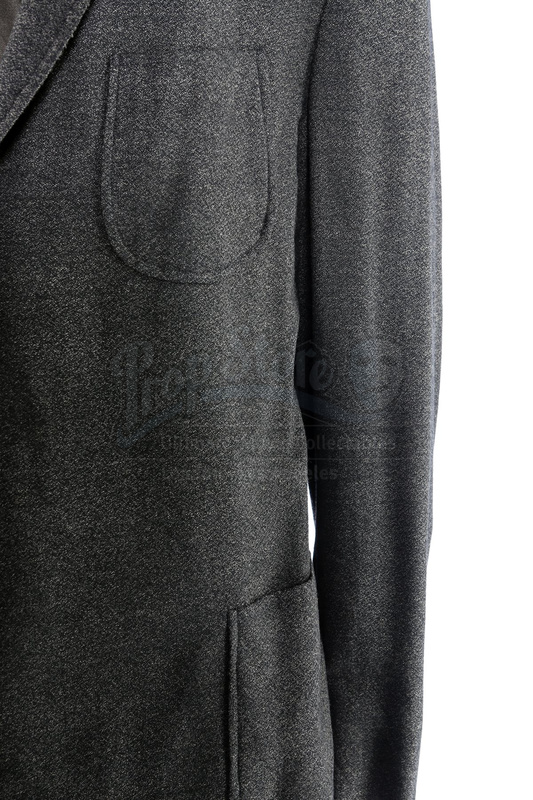 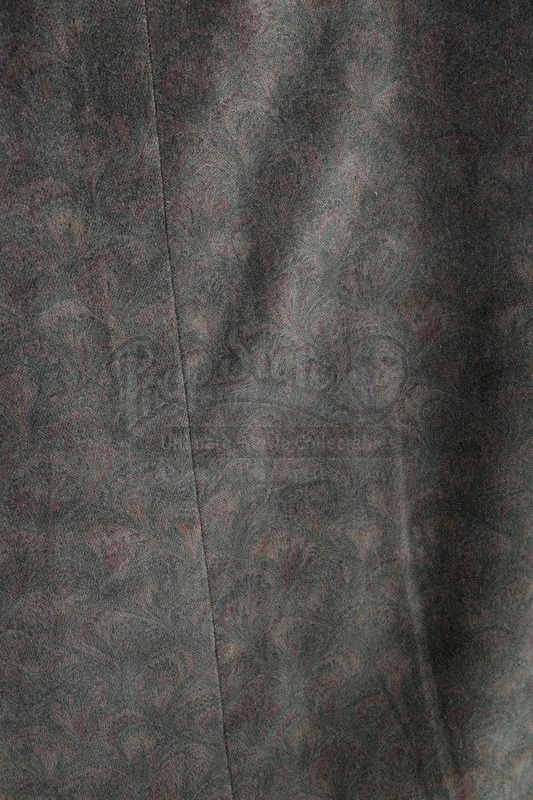 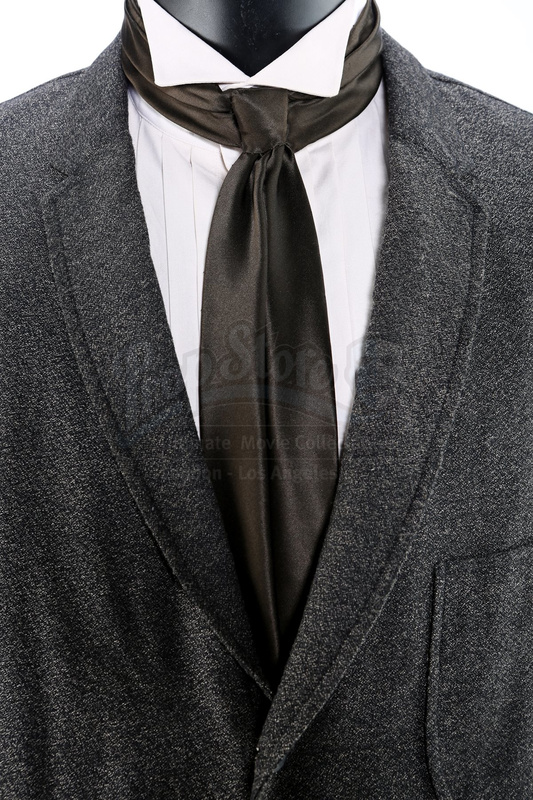 The jacket is made by High Society and includes a wardrobe label inside the lapel pocket that reads “Carel Struycken”. 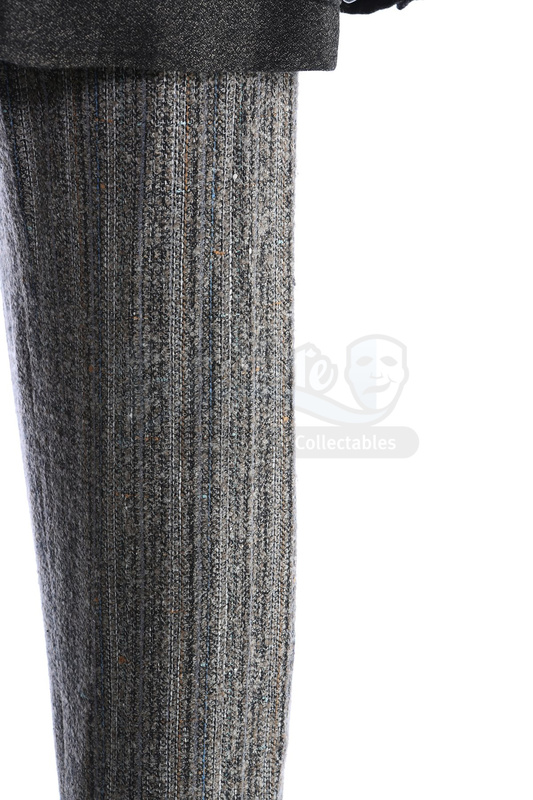 Stitched to the inseam of the trousers is another wardrobe label which reads “Lurch” and “10/15/90”. From The Comisar Collection, the costumes exhibit minor wear due to production use and age, but remain in very fine condition.